No one wants to experience anti-social behaviour, and being the victim of it can be very stressful. Coastline has received HouseMark Anti-Social Behaviour (ASB) accreditation, recognising our customers receive a high quality service. Complaints about anti-social behaviour are taken seriously and dealt with in a professional manner, with a focus on achieving high satisfaction levels. Anti-social behaviour is defined in the Crime and Disorder Act 1998 as being “a manner that caused or was likely to cause harassment, alarm or distress to one or more persons not of the same household as the perpetrator”. You can remain anonymous, but this can make it difficult for us to follow up any action if we do not know who to contact. When we receive complaints about anti-social behaviour we contact the person who is responsible and make them aware that if they continue, they are potentially putting their tenancy at risk. 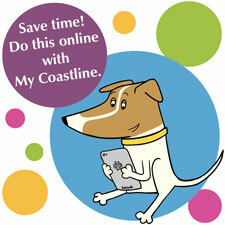 Coastline aims to resolve any anti-social behaviour at the lowest possible level and as early as possible. To do this we need to be kept up to date with any incidents. These also need to be recorded on our diary forms that you can download on this page or have sent to you. These diary sheets are extremely important pieces of evidence for us. If we need to take action against someone’s tenancy we must to do this through the court legal system. Without any evidence to back up our claims we are very unlikely to get any orders from the court. We work in partnership with Cornwall Crime and Disorder Reduction Team, Devon and Cornwall Police and other agencies to tackle anti-social behaviour in our communities. Together with other local agencies, we hold these every few months to find out whether our customers have any concerns about their communities. We ask residents to complete surveys, from which the comments are used by our Tenancy Management Team in its work with other Coastline departments and partner organisations. To read our anti-social behaviour policy, domestic abuse policy, and probationary tenancy policy please visit the policies page.